Interested in joining an elite group of photographers? 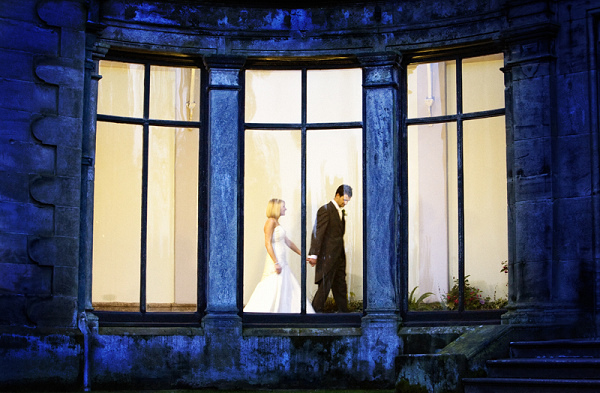 Best of Wedding Photography is an invitation-only association of top wedding photographers. We look for photographers who have achieved high levels of success in the industry, with accompanying recognition by brides, and follow photography professionals. BOWP is the most selective wedding photography association in the industry. If you are the type of photographer who is competitive for entry into BOWP, then you already know that there are many wedding photography associations. You have also probably noticed that there is constant pressure to reduce standards to increase membership numbers and revenue. We make a concerted effort to resist that temptation so we can be the one place photographers and brides can go and know with confidence that they can find a list of some of the most established and successful photographers in every city, town, or region globally. That's the main mission of Best of Wedding Photography. Membership in Best of Wedding Photography costs $99 per year. For most photographers at this level of success, our fee represents a very small expenditure that very easily pays for itself. We've tried to place the price as low as we can while still being able to fund the management and ongoing improvement of the group. A dedicated member page on the BOWP directory. An account and the right to blog directly on the BOWP blog. The right to display BOWP badges and logos on websites and promotional materials. Client leads and traffic. Direct client leads and traffic from the BOWP website. Leads from our site also tend to be those at the higher end of the market. We do not take any commissions on client leads. SEO benefits. The SEO benefits of membership are substantial. BOWP has a very well-established site and links from BOWP to our member's site which has significant SEO benefit. Members can add links from both their membership pages and blog posts, and members are also free - within reason and good taste - to use keyword-focused anchor text in their links, which is one the most important SEO ranking factors. Conversion rate benefits. As most photographers know, adding credibility indicators to your website and promotional material can strongly improve conversion rates - the percentage of visitors to your site that contact you to inquire about services. Indicating membership in "Best of Wedding Photography" and adding "Best of Wedding Photography" badges and logos has this kind of effect, much like posting about other awards or publications. Promotion of workshops and photographer-oriented products. Many of our members offer workshops and other photographer-centric products and services. Members are free to promote upcoming Workshops on our Workshop page, and we'll also include announcements in our monthly member emails. Connection to other top photographers and influencers in the industry. As a BOWP member, you now share an important connection to some of the most successful photographers in the industry. Recognition. Although less tangible, one benefit is simply recognition of professional success and accomplishment by fellow photographers, vendors, and brides. Periodic other benefits. In addition to the main benefits above, we offer periodic discounts, advice, and services. As a general rule, we see our goal as helping our member-photographers be as successful as possible. Whatever we can do in that respect helps our members, but also the group as a whole. We have decided to be as transparent as possible in terms of the criteria on which we determine membership. To that end, we've described below the specific criteria we evaluate for each member. Primary Focus on Weddings. First, we are looking for full-time wedding photographers - those who make their living from photography and focus nearly exclusively on weddings. Conversely, we are less interested in those who shoot weddings periodically on the side. Total Experience. Second, we're looking for wedding photographers who have been lead shooters for at least 30 weddings. Recent Frequency of Wedding Commissions + Blog. Third, we want to be sure that all members are still actively shooting weddings. So we want to see how many weddings you've conducted in the last six months. In this respect, blogs are very important. Blogs are best practice, and active blogs generally correlate to other indicators of professional success. But more directly, blogs allow us to see the frequency and quality of recent weddings, and judge "complete" individual weddings rather than overall portfolios. We may also supplement reviews of recent blog posts with reviews of social media engagement. Quality and Style of Imagery. Fourth, and among the most important criteria on this list, is the quality and style of imagery you produce. In judging imagery, technical accuracy and good composition are not sufficient. We look for photographers who've mastered the basics, and can produce striking, modern images by taking advantage of creative lighting, angles, motion, and other unique compositional elements. We also look for the ability to deploy a modern and artistic style of post processing. Memberships. We look for membership in profession associations. Some association are more competitive than others, and we also take that into account. Publications. We look for a history of published photographic work. Again, some publications are more competitive than others, so we take that into account. Awards, Features, and Recognition. We look for any other kinds of awards, features, and recognition. Examples include photo competitions, local newspapers, features in local or national wedding blogs, regional "best vendor" recognitions, and any other kinds of recognition. Pricing. Sixth, we do lightly consider pricing. Most of our photographers are well-enough established and have enough commissions and referrals that they can charge above average prices for their work. We recognize there are many reasons a photographer may have lower prices, especially geographic region, so we take that into account. But because professional success in the industry tends to be correlated to higher prices, and because photographers operating at a certain level in the same region tend to have similar prices, we do consider this a factor. Size and Competitiveness of Primary Market. Finally, we also take your geographic marketing into consideration. Certain markets like New York City or San Francisco have large numbers of talented photographers. To avoid having too many photographers listed in our largest and most competitive markets, we may apply even higher standards in these markets. If you have any further questions about membership, please do not hesitate to contact us at bowp@photocrati.com. If based on the above criteria, you would like to be considered for membership, please submit a request for consideration below. We conduct in-depth photographer reviews about every two months. How many weddings have you photographed as primary photographer? How many wedding have you photographed in the last six months? Please provide your blog URL. What is your average wedding package price? In which city or region are you based or do you do most of your work in? Please list any professional indicators you would like us to take into account. Feel free to include memberships, publications, awards and recognition, blog features, and any other recognitions. If you list these items on your website, feel free to provide a URL to the relevant pages instead.